Bio Notes: Alexander Skirving was born about 1846, the son of James Skirving, civil engineer and Margaret Cameron. Although settled in Lanarkshire, the Skirvings were originally a landed Fife family, Alexander's great grandfather being the political reformer William Skirving of Strathruddie. Skirving was articled to Alexander Thomson and his brother George from 1864 until 1870. He remained with the former as assistant and latterly chief draughtsman: during his time at Thomson's he studied at Glasgow School of Art, gaining several prizes and scholarships. 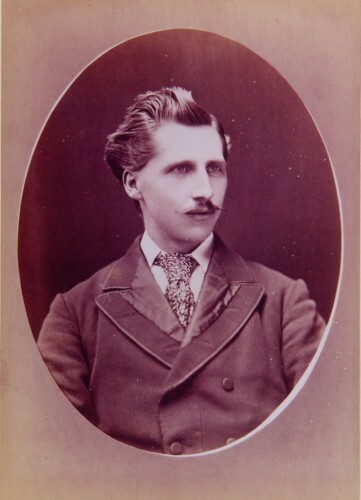 In 1875, probably just after Thomson's death, he went on a three month tour of Italy and at some period prior to commencing independent practice in 1876 he worked in several offices in London, including that of Richard Coad in London and that of the stained glass designers and manufacturers, Heaton, Butler & Bayne, work which was to lead to agency business in that field. Although his entry in 'Glasgow Contemporaries' indicates that he received part of his art education in London, there is no record of it in his RIBA nomination papers. Skirving's earlier work was a reflection of his time with Alexander Thomson, and of Thomson's enthusiasm for the writings of James Ferguson whose theories of phonetic architecture found expression in Skirving's neo-Greek and neo-Hindu designs for the Glasgow Municipal Buildings competition. In a better integrated form with refined details, these found built expression at the Scottish Legal Life Building in Wilson Street and Virginia Street a few years later: his subsequent buildings tended to be more conventional in design, although his Langside Haill UP Church of 1894-96 was still mainly Thomsonesque in conception. His practice was predominantly a south side one centred on Langside where he lived after his marriage to Ellen (or Helen) Charlotte Woodward, daughter of Thomas Woodward at Barony Parish Church, Glasgow on 28 April 1886. 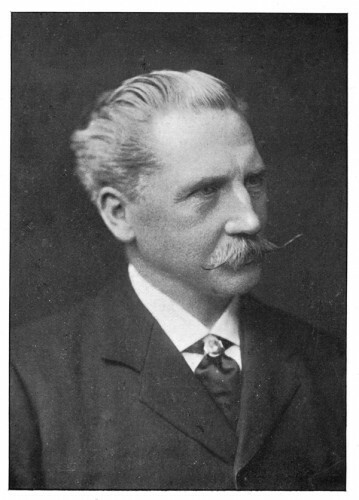 Skirving was admitted FRIBA on 11 June 1906, his proposers being John James Burnet, John Keppie, Thomas Lennox Watson and C J MacLean, secretary of the Glasgow Institute. At that date he was, or recently had been, Grand Architect of the Grand Lodge of Freemasons of Scotland, although the office does not seem to have brought him all that much business. He was a man of wide interests as a member of a number of literary and scientific societies, notable the Rosebery Burns Club of which was president. In that capacity he served on the organising committee of the Robert Burns exhibition of 1896. Like many other architects Skirving suffered financial hardship during the First World War, particularly as he had invested heavily in rare books and antiques rather than in stocks and property. When some of these items had to be sold they brought much less than had been expected in the depressed wartime market. His mind became affected by it and he was a private patient in Craig House, Edinburgh when he died of chronic bronchitis and asthma on 12 May 1919. His funeral took place at Glasgow Crematorium, Maryhill. The practice was continued by his only son, also Alexander Skirving, born 1890. Professor David M Walker personal archive Professor David M Walker, notes and collection of archive material Personal information from Alexander Skirving's grandson. Birth & death information from Iain Paterson.